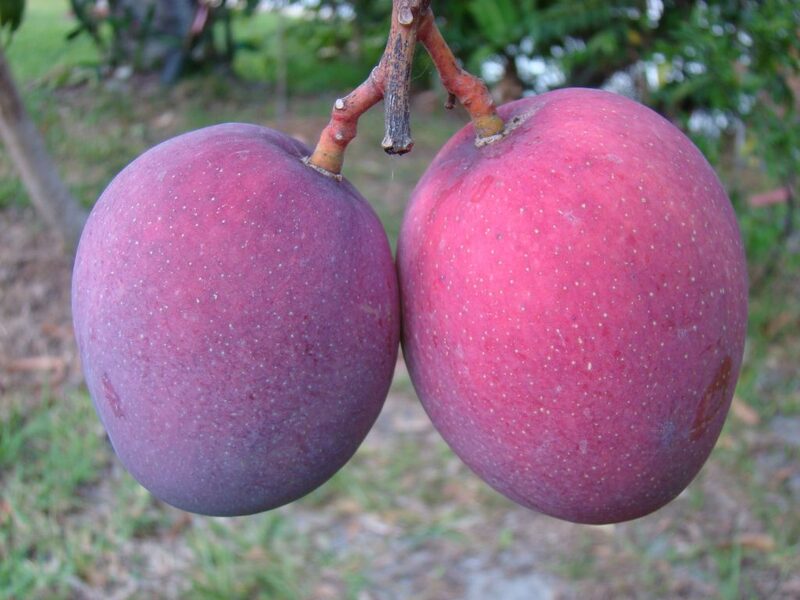 I hate to blaspheme any mango, but every maven, must, at some juncture, blaspheme something. Tommy Atkins mangoes, compared to real deal mangoes, are *really bland* in taste and are *fibrous. * And when I say fibrous, I mean *stringy little bastards.” Tommys don’t have buttery flesh. Tommys don’t have smooth flesh. Do they taste awful? No, but I give them a C- or D+. This is a sad day for mangoes the world over. Why? Because the shopper has been robbed of the real deal mango experience…and they’ve mentally applied what they know from other kinds produce to all mangoes. Carrots taste like carrots. A banana tastes like the next banana. A mango must taste like all other mangoes. And therefore, having tasted the Tommy Atkins, the opinion of the shopper is set for all time: all mangoes must be “just okay.” In reality, nothing could be further from the truth! My advice is this: if you are looking to eat fresh mangoes and want the real deal mango experience, don’t buy Tommy Atkins mangoes. 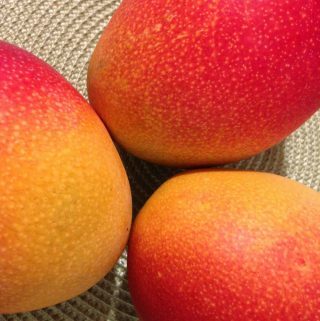 If you find yourself in the produce aisle and aren’t sure about the mangoes on display, ask a produce employee if the mangoes are smooth-fleshed or fibrous. If the employee doesn’t know (and usually they don’t) ask them to cut one open to see if the flesh is smooth. 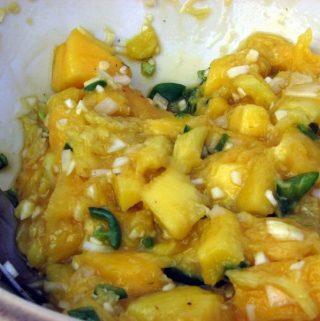 Before I could discern one variety of mango from another, I made this request many times and I never had to pay for the cut mango. I’ve left lots of fibrous mangoes to someone else as a result of having one cut open for a quality test. The secondary benefit of this approach is that it puts the produce folks on notice that fibrous mangoes are not acceptable for fresh eating purchases. Now to be fair to Tommys, maybe they work fine in a mango food processing context, (like canned or dried mango products) but they are a lousy choice when one wants to stand over the kitchen sink and slurp the goodness of a real deal mango. Bottom line advice for fresh mango consumers: Leave the Tommy Atkins mangoes on the shelves. When the Kents or Keitts or Manilas or Hadens come in, get them while you can!!! Eventually, produce buyers will get the message. Previous Post: « FOR SURE More Than You Wanted to Know!